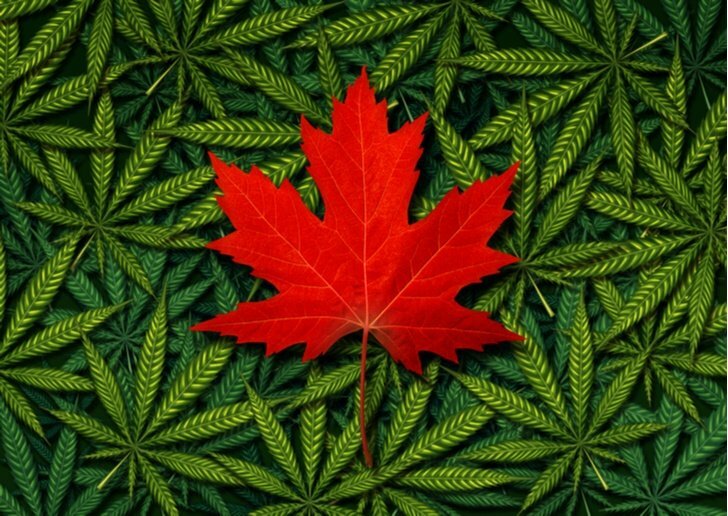 At a time when rivals Tilray (NASDAQ:TLRY) and Aphria (NYSE:APHA) have captured headlines, Aurora Cannabis (NYSE:ACB) finally got a piece of the action again. Earlier this week, management announced its acquisition of premium-cannabis producer Whistler Medical Marijuana. As expected, ACB stock jumped on the news. More importantly for speculators, the enthusiasm hasn’t faded yet, despite that we’re now near the end of the week. A significant reason why Wall Street remains bullish is the acquisition’s fundamental impact. For the most part, Aurora Cannabis stock is a direct play in medical marijuana. With Whistler, ACB has a broader portfolio. In addition, management must keep pace with key competitors. One of the biggest announcements in the sector was the partnership between Cronos Group (NASDAQ:CRON) and Altria Group (NYSE:MO). We all know about beverage-maker Constellation Brands’ (NYSE:STZ) investment in Canopy Growth (NYSE:CGC). If you’re not cutting deals in this sector, you’re going nowhere. That’s all fine and well. The most worrying factor here, however, is dilution in ACB stock. Including Whistler, Aurora has bought out nine companies. Ordinarily, such actions represent a strain on resources. The leadership team sidesteps the issue with all-stock purchases. Last year, ACB acquired MedReleaf, Anandia Labs and ICC Labs. In total, the medical-cannabis firm spent $3.6 billion, all in equity. Because management refuses to tap into their cash reserves, Aurora Cannabis stock must take the hit, no pun intended. Currently, we have 994 million shares of ACB stock outstanding. Just two years ago, we had 313 million shares outstanding. By the time the Whistler deal and possible others are completed, we’re looking at well over one billion shares. For those long Aurora, this dilutive strategy warrants concern. Still, it’s too early to get pessimistic. Again, under ordinary circumstances, I’d sound the alarm on Aurora Cannabis stock. Diluting shares is a relatively easy way to expand your footprint. But get it wrong, and you could be courting disaster. Even without considering a worst-case scenario, dilutive strategies invite profitability and sustainability pressures. So what makes ACB stock different? It’s all about the inherent nature of the legal-marijuana industry. Unlike almost every other market, cannabis has practically appeared out of nowhere. To deliver long-term success, companies must do everything they can to establish their brand. Therefore, traditional concerns like profitability take a backseat to growth and expansion. But due to legalization, the black-market effect no longer bolsters marijuana prices. Therefore, cannabis firms must consolidate to survive as an industry. That’s one reason why I’m not panicking over dilution in Aurora Cannabis stock. The other reason is differentiation. As I just mentioned, weed is easy to grow. What will separate the contenders from the pretenders is product quality. If you look at Whistler’s product portfolio, you can see why management pulled the trigger. Contrary to prior eras, cannabis has dramatically evolved from just a means to get high. Today, medical-marijuana firms have “scienced” the snot out of the underlying commodity. In the foreseeable future, we’ll enjoy a standardized industry where patients can match their symptoms with an ameliorating cannabis strain. To get there, ACB must lay down the foundations. That’s why investors should focus on the “why” (in this case, future profitability), not the “how” (dilution). While I agree with management’s overall direction, that doesn’t guarantee a smooth ride. Analysts who raise the dilution concern aren’t wrong. Every action has a reaction. At the very least, each share of ACB stock will be increasingly worth less. But I highly doubt that shares will become worthless. The deal-making and dilution represent the marijuana industry’s harsh realities. Due to low barriers of entry on the production side, current cannabis firms must expand, partially to discourage competitors. And because traditional financiers are iffy about marijuana’s Schedule I classification, for sector players, cash is king. Otherwise, going all-equity on every acquisition is unnecessarily risky. But again, that’s just the reality. This investment category isn’t for everyone because we know ahead of time that it’s insanely and inevitably volatile. But a careful, longer-term approach to Aurora Cannabis stock should pay off quite nicely. Article printed from InvestorPlace Media, https://investorplace.com/2019/01/trust-acb-stock-aurora-cannabis-despite-dilution/.